Another genealogist shared this word cloud utility with me. 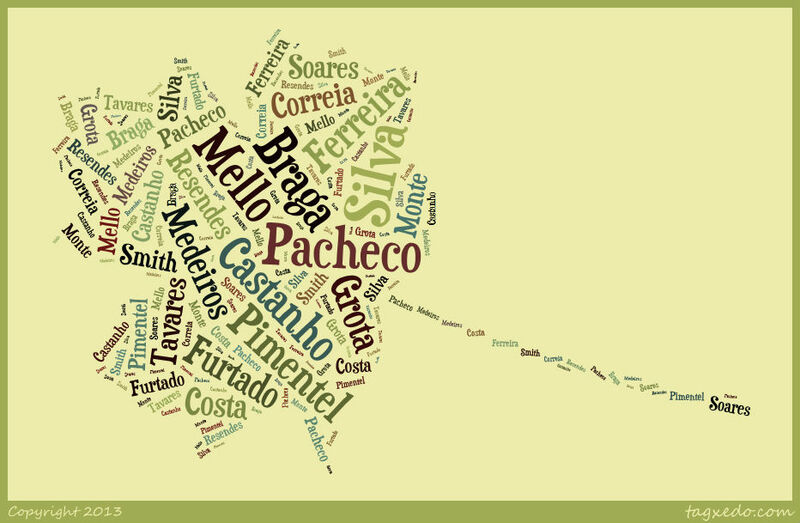 It’s called Tagxedo. You enter a bunch of words, pick a shape, and it makes a cool looking word cloud graphic. I did a couple using surnames from my family tree. I really like the way they came out. I really like this one! 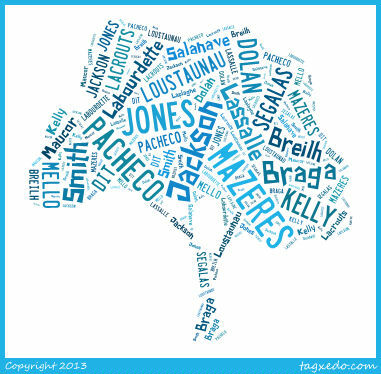 These are my Portuguese (Azorean) surnames in leaf format.